I colored the image with my Copic markers, did a little distressing around the image with the direct to paper technique, and finished the card off with some twine attached to the little anchor image that was included in our kits. I found this great sketch (#167) on the Card Positioning Systems blog, and knew it was just perfect for this, because I could use those wonderful buttons Michelle sent in the kit. I love it when a plan comes together! LOL!! Be Sure to hop over to the blogs of the rest of the Kit Cat gals to see what they've done with this wonderful kit. 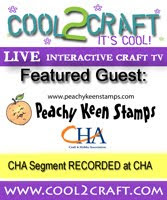 Michelle, Kelly, Susan, Jeanette, and Catherine will have you inspired, and ready to do some happy stamping! Thanks so much for stopping by! May God bless and keep you today and always! Wow! Wow! WOW! You're always knocking my socks off with your creations, Lorie, and this one is no exception! Your coloring is fantastic! I love the details you put into your layout, too - perfect use of the buttons and I love the cord/twine. Awesome!!! Wow! Lorie this is so creative! Ilove the way you arranged the twine around the card with the anchor on the end. Your coloring is perfect! Very cute card, PERFECT use of that CPS sketch. Hello Lorie. How amazing, a story in its own right. Lots of gorgeous detail, fab papers, brilliant image, so brilliantly brought together with your amazing skill. Love it. Happy crafting. Oh Lorie! I am running out of things to describe your work. I look at it and just say WOW how does she do this??? I only wish I had 1/4 of your talent!!! Incredible card!! Your coloring is, as always, AWESOME! I love what you did with the twine...it's the perfect embellishment for this card. What a fun card!! Thanks for joining us at CPS this week! Such an awesome card. Really, too adorable. Love the colors and that sweet image which you have colored so perfectly and the anchor on the twine and pretty much evreything about it.